New and improved MaxCell Edge is here! 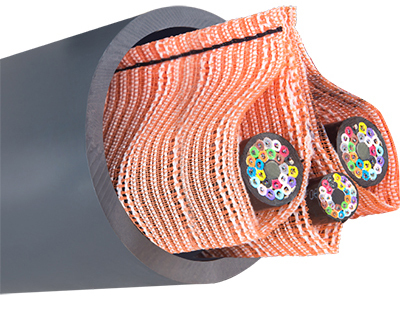 MaxCell is the only flexible, multi-cell, fabric innerduct system designed specifically for the network construction industry. 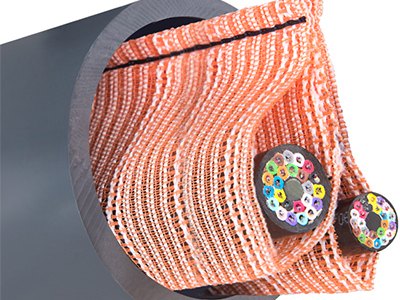 The unique textile construction allows MaxCell to conform to the shape of cables placed within, greatly reducing the wasted space associated with rigid innerduct. MaxCell is a versatile solution for the complex problems faced by today's engineers, contractors, and network providers. MaxCell configurations include one, two, and three cell designs for use in 1.25" or larger conduits; and most are available in Standard, Riser, Plenum, and Detectable versions. 3" 3-Cell MaxCell Edge is designed for use in 3" or larger conduits. 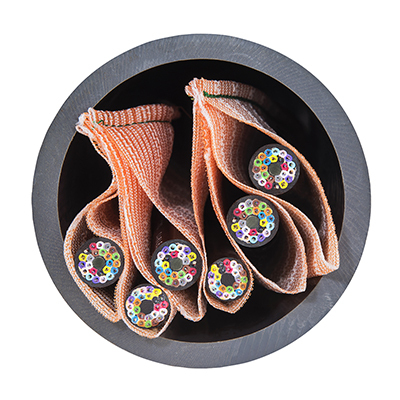 The 3" 3-Cell product is designed to hold cables up to 1.05" in diameter in each cell. Up to 3 packs can be placed in a 4" conduit. 2" 3-Cell MaxCell Edge is designed for use in 2" or larger conduits. The 2" 3-Cell product is designed to hold cables up to 0.85" in diameter in each cell. 2" 2-Cell MaxCell Edge is designed for use in 2" conduits. The 2" 2-Cell product is designed to hold two cables up to 0.85" in diameter in each cell. It is ideal for overlay when one cable exists in a 2" conduit. 2" 2 Cell is in stock and available for immediate shipment! We also offer custom cuts on in stock sizes with no cut fees. 4" 3-Cell MaxCell Edge is designed for use in 4" or larger conduits. The 4" 3-Cell product is designed to hold larger backbone cables up to 1.5" in diameter in each cell. Up to 2 packs can be placed in a 4" conduit.